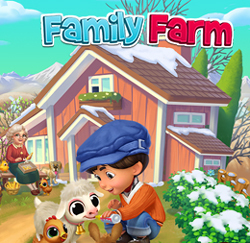 One of the best thing about Family Farm is the Daily Login Reward where you can get Coins, Fertilizers, Gas, OP, Bionic Fertilizers, Watering Cans, Bionic Aquatic Fertilizer and Free RC. Every time you open the game for the First time of the day, a panel will appear and will show the number of consecutive days you have been coming every day, the reward you get for this day and your next rewards. 11 Free RC, 300 OP, 60 Fertilizer/50 Bionic Aquatic Fertilizer (this depends of the week), 12 Gallons of Gasoline and 50 Bionic Fertilizers/20 Watering Cans (depends of the week). How to Get Free Family Farm RC? You will receive 2 RC after already one week of connection, and 10 Family Farm RC from your 63th consecutive day! 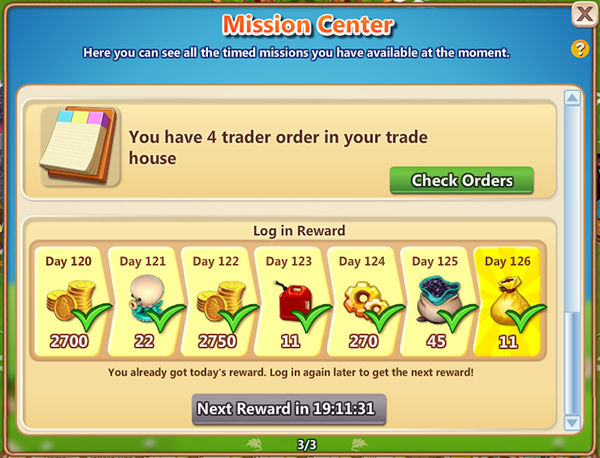 After 126th days of continuous days logging, you will get 11 Family Farm RC every week on the 7th day. Not bad right? For each day that you don't login, you will lose 7 days of consecutive login days. Example: If you don't login (when it was supposed to be your 126th day and have the example panel), and you come one day after, you will lose 7 days (125 - 7 =118), so when you you come back = it will be shown day 119 when you login and you will only receive 10 RC instead of 11 if you had come the day before. Which means you will have received your RC or your other reward one day later than usual. This can also decrease the amount of rewards you will receive afterwards. Day 1 does not mean Monday, but the first day you login the game. I need help with RC's i cannot complete any items I need to get to boost up my farm. Add Me Please!! new account struggling without friends/neighbors help.